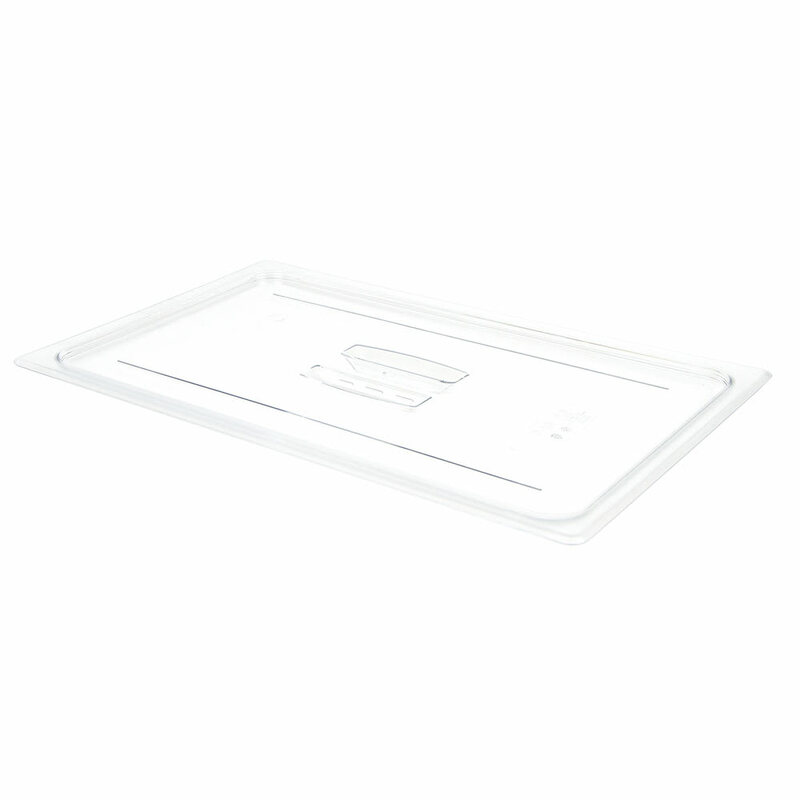 Compatible with full-size pans, the Cambro 10CWCH135 Camwear® food pan cover keeps contaminants out of stored food while maintaining its freshness. It can be used in prep tables or stacked storage in reach-in and walk-in units. Since it is made of polycarbonate, the lid is durable for heavy use, while the clear material creates food visibility. 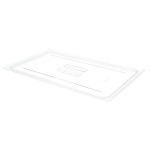 There is an integrated handle on this Cambro 10CWCH135 Camwear food pan lid, so staff can easily remove it from pans.